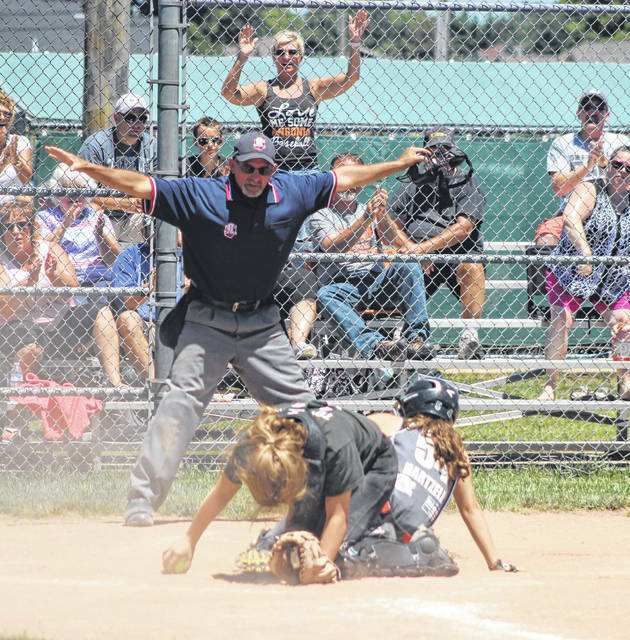 Ansonia’s Denay Geesaman is safe at home during a game on Saturday. 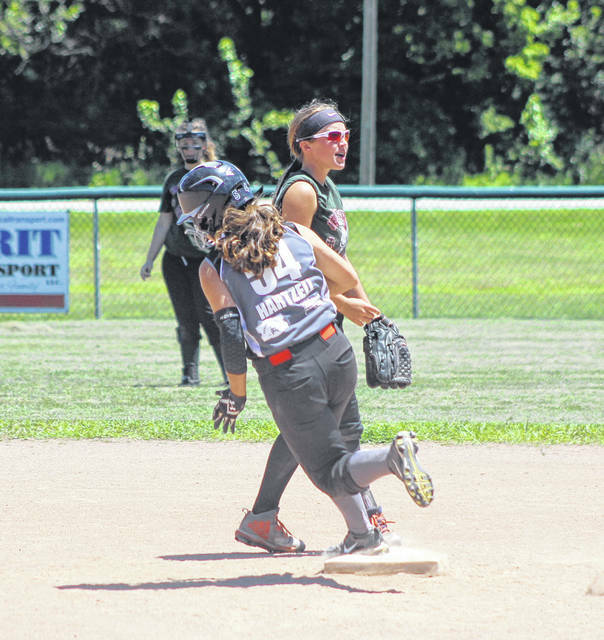 Ansonia’s Kinsey Hartzell rounds second on her inside-the-park home run against Greenville’s #2 team on Saturday. 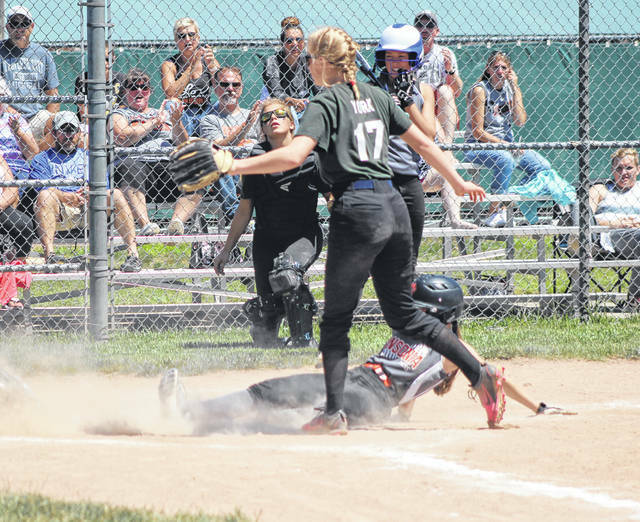 Ansonia’s Kinsey Hartzell is called safe at home after legging out an inside-the-park home run. 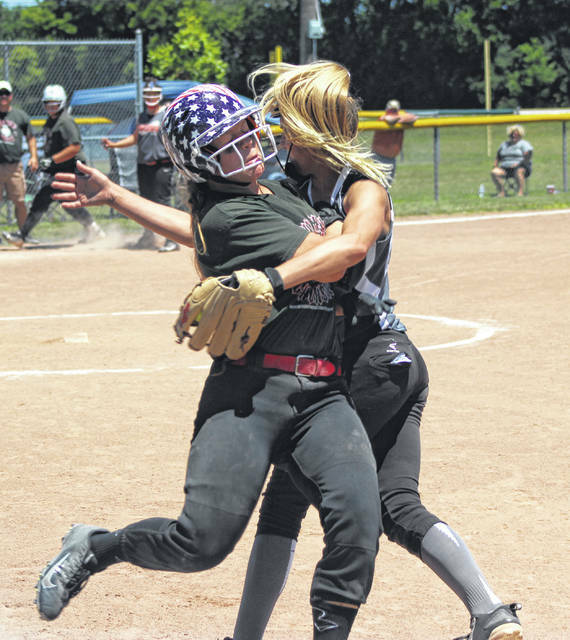 Greenville’s Maddie Thompson collides with Ansonia’s Lauren Burns at first base. 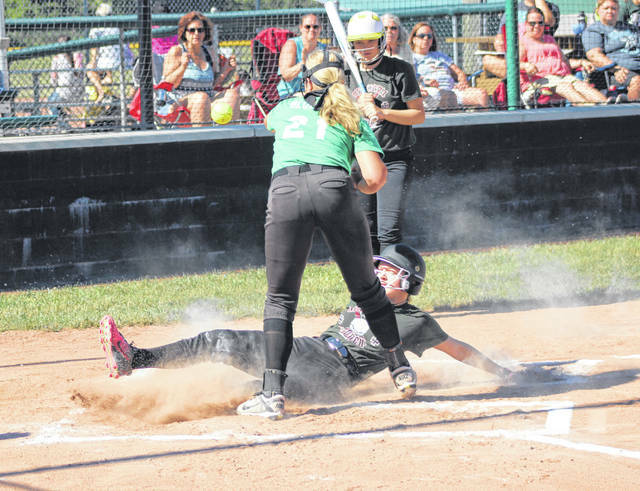 Hanna York of the Greenville #2 team slides safely across home plate in a game betwen the two Greenville teams on Saturday. 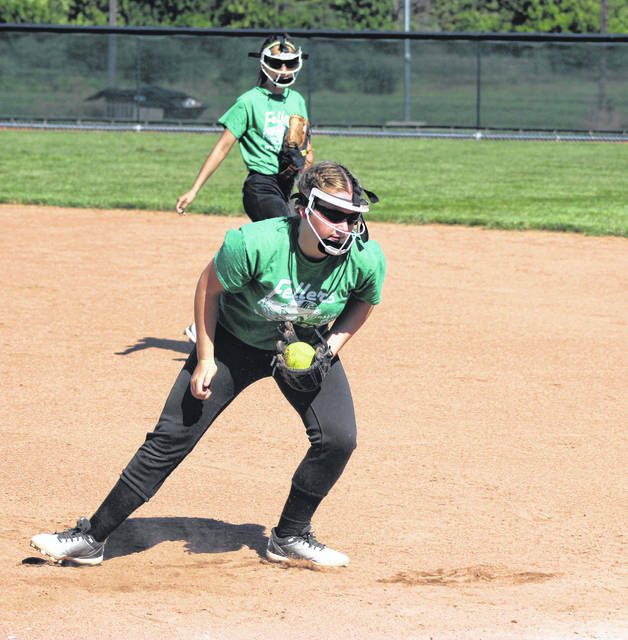 Sage Fellers of the Greenville #1 team awaits the throw to tag Hanna York of the Greenville #2 team on a steal attempt. 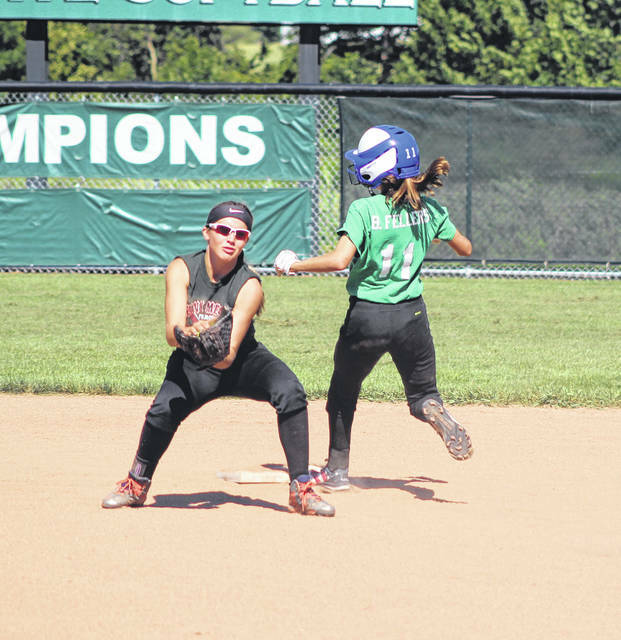 Cheyanne Hartsock of the Greenville #1 team fields a ground ball and runs to tag first base for an out. 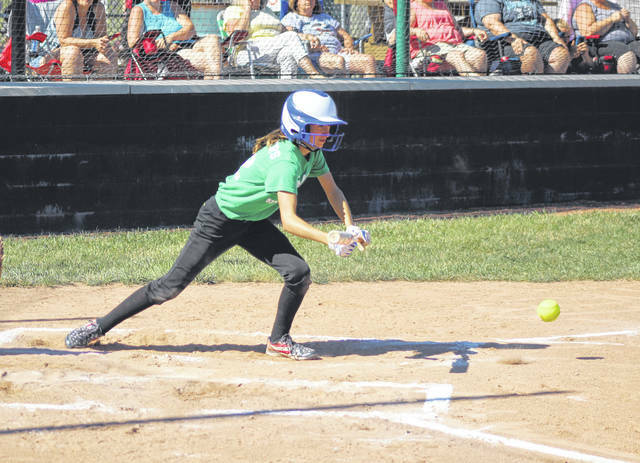 Sage Fellers gets down a bunt for the Greenville #1 team. 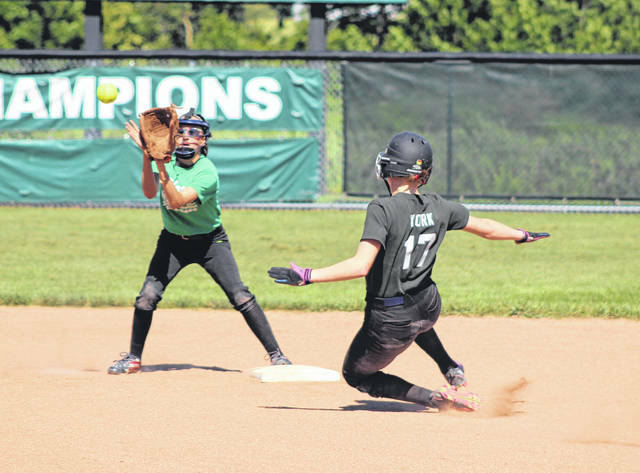 Brianna Fellers (11) of the Greenville #1 team is safe at second as Kenna Jenkinson of the Greenville #2 team waits for the ball. 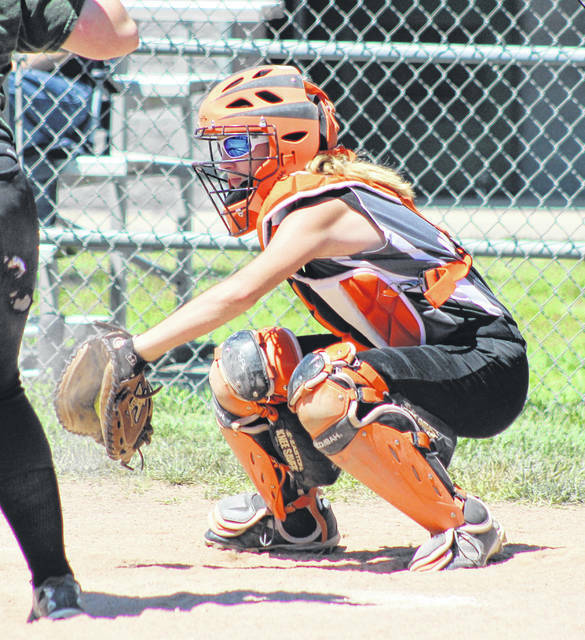 Kenna Jenkinson of the Greenville #2 team makes a throw to first for an out. 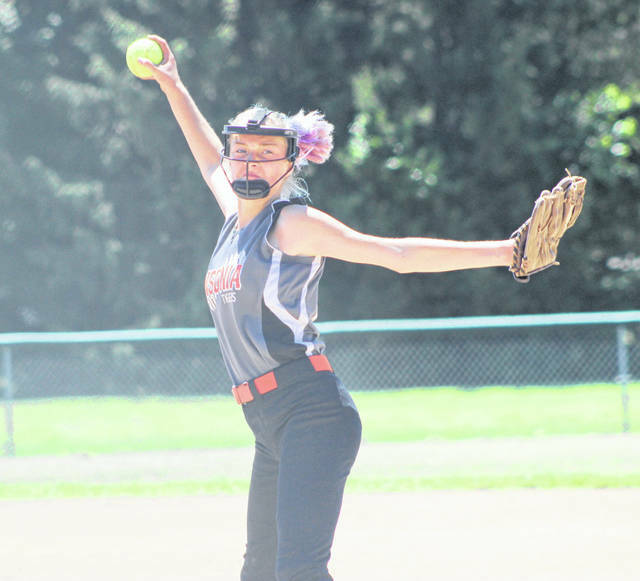 Suzi Blocher of the Greenville #1 team throws a pitch. 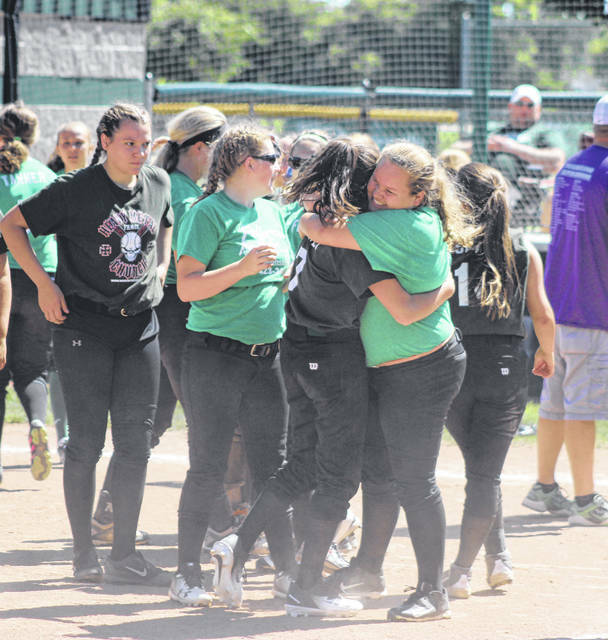 The two Greenville teams are opponents on the field, but friends off as they hug each other when the game is over. 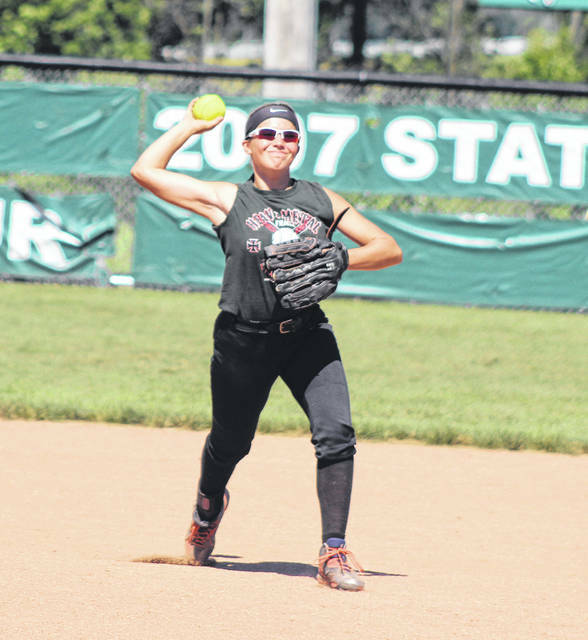 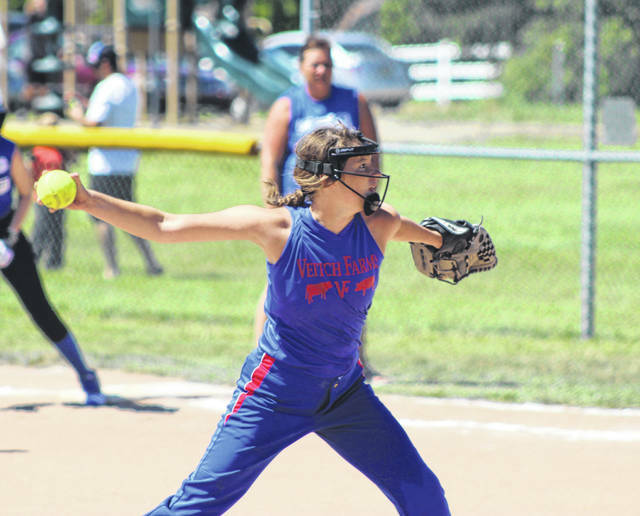 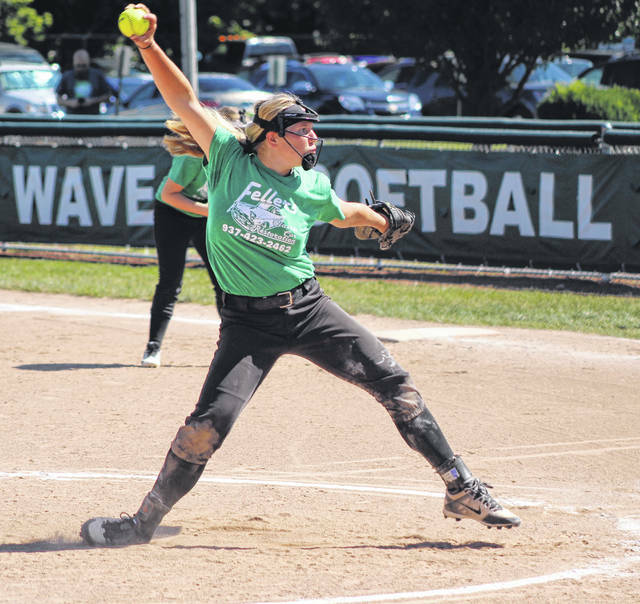 Tri-Village’s Josie Camacho throws a pitch during one of the Patriots’ games on Saturday. 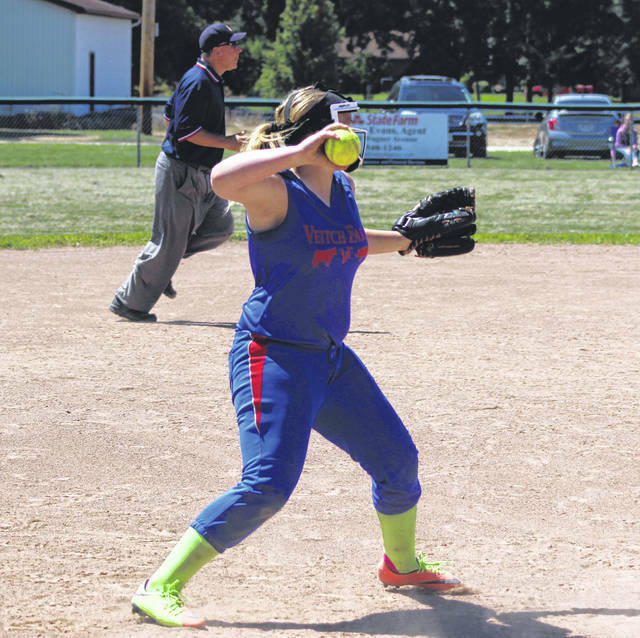 Tri-Village’s Kaylee Brewer sets and throws to first base after picking up a ground ball at third base.